This is my review of a terrific novel from a few years ago. I decided to re-post it because the issue of immigration remains relevant and, in fact, affects more people’s lives than ever. I recommend it to you without reservation. 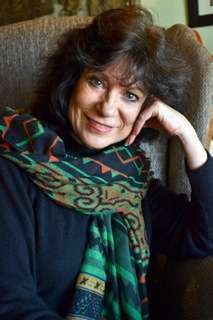 Rilla Askew’s other novels, especially Fire in Beulah (about the Tulsa race riot of 1921), are also well worth your time. The recent attempts by conservative-governed states to demonize illegal aliens (or undocumented immigrants, if you prefer) and drive them out are no surprise to those who understand the undesirable consequences of an economic downturn. When the jobs disappear, someone must be blamed, and The Other is the convenient scapegoat. Legislation of this sort raised important moral, ethical, and legal issues that need to be settled for the good of our economy and sense of community. “E Pluribus Unum,” yes? 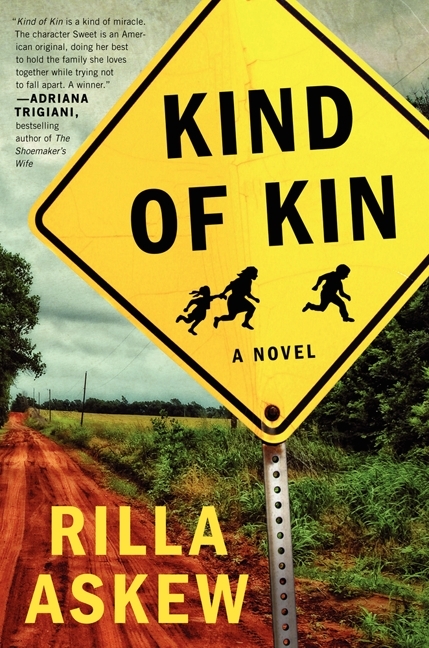 Oklahoma novelist Rilla Askew decided to examine these questions, and the result is a terrific novel, Kind of Kin (published in hardcover in Jan. 2013 and in paperback in Jan. 2014). She deserves high praise for managing to explore the lives of those on both sides of the immigration issue without turning it into a one-sided screed. While Askew’s position is clear, Kind of Kin uses multiple narratives to put us inside the kaleidoscope of immigration politics at the national, state, and local levels. The novel’s protagonist is Georgia “Sweet” Kirkendall. Her father, Bob Brown, a taciturn but respected local mainstay in the tiny town of Cedar, Oklahoma, has been arrested for harboring illegal aliens in his barn, to the surprise and disappointment of friends and family. Even more strange is the fact that he refuses to hire a lawyer or put up a defense. The formerly apolitical Brown appears to want to make a political statement. What inspired this change so late in life? His parentless grandson, 10-year-old Dustin, is forced to stay with Sweet, who is already struggling with her own son, a young bully named Carl Albert, and her husband, who works long hours out of town and has grown emotionally distant from Sweet and Carl Albert. At the same time, Luis Celayo has entered the U.S. illegally to search for his long-lost sons, who went north to work. The plot is enriched considerably by the fact that Sweet’s niece, Misty, is married to an illegal alien who has been deported but has made his way back into the country. Then Dustin disappears, and the hunt for him drives the story to its dramatic conclusion. On the other side of the legal and social divide are three less sympathetic characters. Oklahoma state senator Monica Moorhouse is a political opportunist who sees a harsh anti-immigrant bill as her ticket to national notoriety and Congress. Local sheriff Arvin Holloway is a blustery Joe Arpaio-inspired lawman who has never met a camera or microphone he didn’t like. Logan Morgan is a young TV reporter looking for a big story and a move to a larger market. They all have their own agendas, which involve little concern for the effects of such a law — or their actions — on real people’s lives. Moorhouse is advised by her husband, a canny but amoral political strategist in the Karl Rove mold. Holloway is used to running the town of Cedar the way he bullied kids in his school days. Morgan is a zealous believer in the TV news motto, “If it bleeds, it leads,” so she looks (and hopes) for continuing drama and even some tragedy in the story at the heart of the novel. At the center of this sociocultural, political, and legal tornado is Sweet Kirkendall, who struggles to hold her extended and very dysfunctional family together through her father’s imprisonment and Dustin’s disappearance, despite having no knowledge of, or experience in, such situations, no financial resources, and no emotional support from her family members. Yet everyone looks to her to solve their problems. She is the believable and likable heroine of this multi-faceted novel. While on paper the plot may sound melodramatic, it does not read that way. Instead, it comes across as a realistic depiction of the many lives affected by the political decisions made on the issue of immigration and immigrants’ rights. The narrative is fast-moving, the various viewpoints are woven together smoothly and logically, and the characters act like real people, not cardboard cut-outs intended to stand in for points in a political or legal argument. 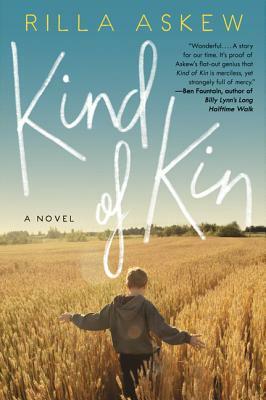 What really makes Kind of Kin stand out, though, is Askew’s obvious compassion for the characters who deserve it, her ear for realistic dialogue, and her ability to write a deeply involving story whose headlong momentum makes you turn the pages faster as the novel progresses. Kind of Kin would make a great choice for book clubs, as there is much to chew on within its 400 pages of powerful prose. For everyone else, it is worthy of this high praise: It is a terrific, thought-provoking book that you won’t be able to put down or soon forget.